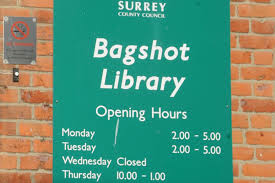 We support and promote Bagshot Library by running extra activities to attract visitors and borrowers – just now there is an active Poetry Group (last Friday of every month) and a Rhymetime for mums and toddlers. READING KEEPS YOU HEALTHY, WEALTHY AND WISE!!! « Samaritan’s Purse Christmas Child Shoe Box Appeal.